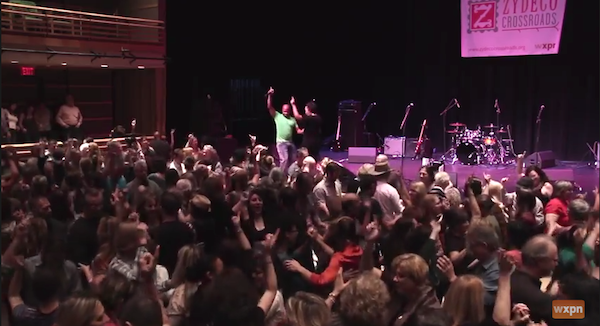 For the first Zydeco Crossroads concert back in December, we knew it would be important to introduce the dance aspect of the zydeco experience along with the music. So Harold Guillory, a dance instructor from Lake Charles, LA traveled up to Philadelphia with Curley Taylor to lead the sold-out Kimmel Center crowd in a dance lesson before the show. We interviewed Guillory about the dance’s ability to draw new people to the music, why it sets zydeco apart and how it allows fans to express themselves in a different way. Watch the interview below and learn more about Guillory here. A full audio archive of Curley Taylor’s set from that night can be found here.